Four times a year, the WES Consumeter asks questions about various subjects to a representative sample of 1500 Belgians between 18 and 74 years old. The autumn survey edition included a series of questions to gauge the opinion of the Belgians on corporate responsibility of chains. 50% of Belgians agree to fully agree that chains exploit their suppliers. 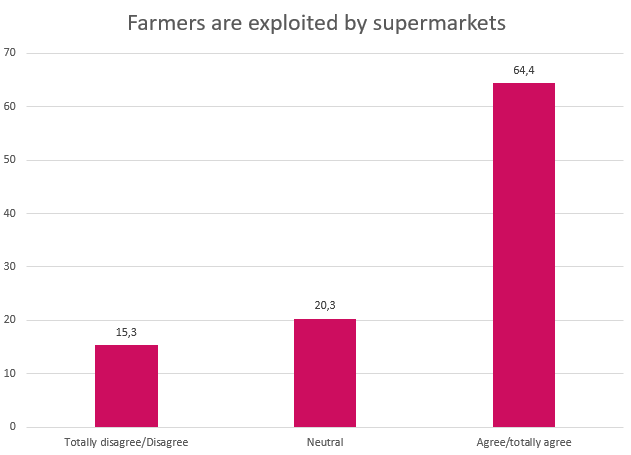 When asked if they think that supermarkets exploit farmers, more than 64% agree. 56% of Belgians also agree that chains do not produce their products in a fair manner. Especially in Wallonia respondents strongly agree with these statements. About 60% of Belgians would no longer go shopping in a shop when he or she knows that the staff is not being treated properly. In Brussels, we find the highest number of agreeing respondents, followed by Wallonia and then Flanders. The older they get, the more importance respondents attach to the proper treatment of staff. 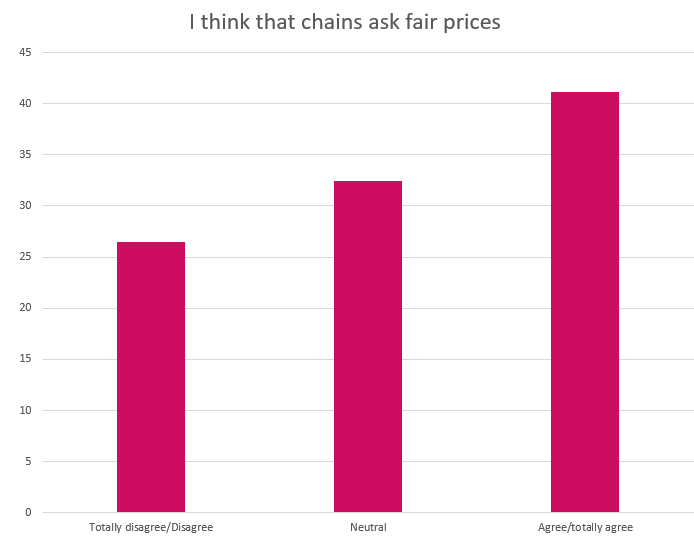 In response to the question whether they think fair prices are asked, 32% cannot answer. The largest share (41%) agrees that chains ask fair prices.